While mesmerising the style moments at Digital Fashion Week, I couldn't help but pay more attention on my fashion blogger friends whom we were out and about the shows in our most fabulous ensembles. Everyone was decking out in their very own styles and of course taking lots of ootd shoots with each other. Besides the fabulous dressing up, we were enjoyed drinking, and making our own cocktails during the one-to-one mixology session while chilling in between the shows at our VIP lounge area. Black never go wrong. I was wearing Cookie design from Lonely Dream store and baby Ashley was in full set of Pearly Wong. 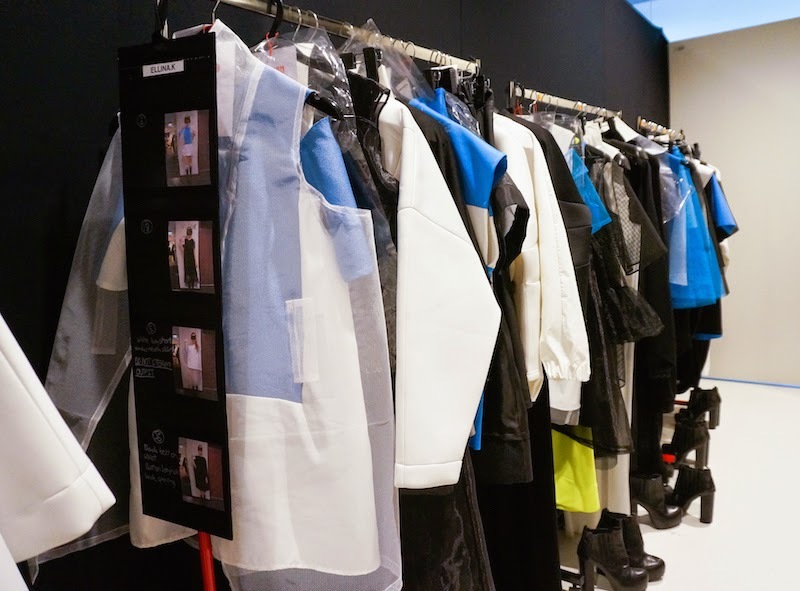 We even went backstage and I was expecting naked models (yes, don't judge), oh well...it wasn't turned out as expected but I was really excited to see the close ups of all the designs and greeted the designers (if I'm lucky enough). Yes of course, I was lucky enough to meet the talented designer Max Tan. 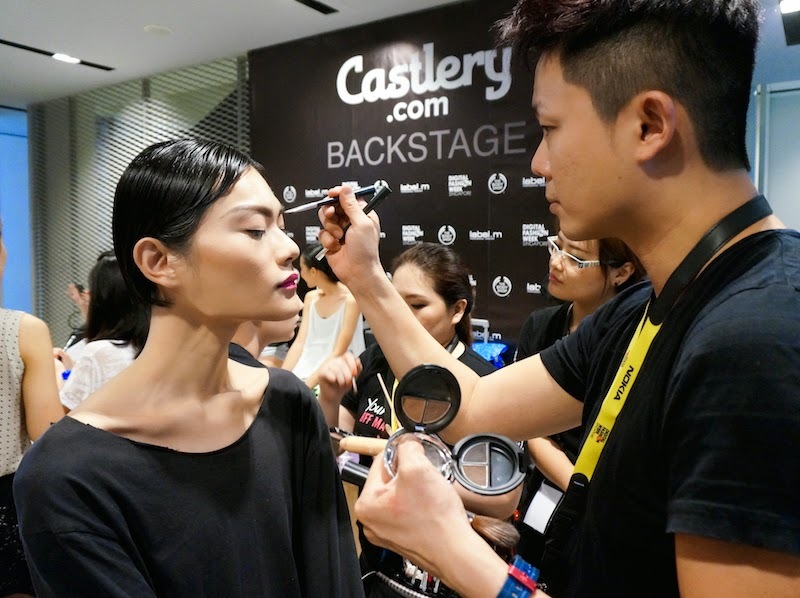 At the catwalk space, Max Tan opened the show with the world's oldest supermodel Carmen Dell'Orefice donning his creations at the grand finale featured a stunning cocoon sleeved fuchsia pink coat. Cocoon coat and oversized designs with a touch of neon colours, Max Tan successfully brought the sic fi styling on the runway with the winged sunglasses adorning the models. 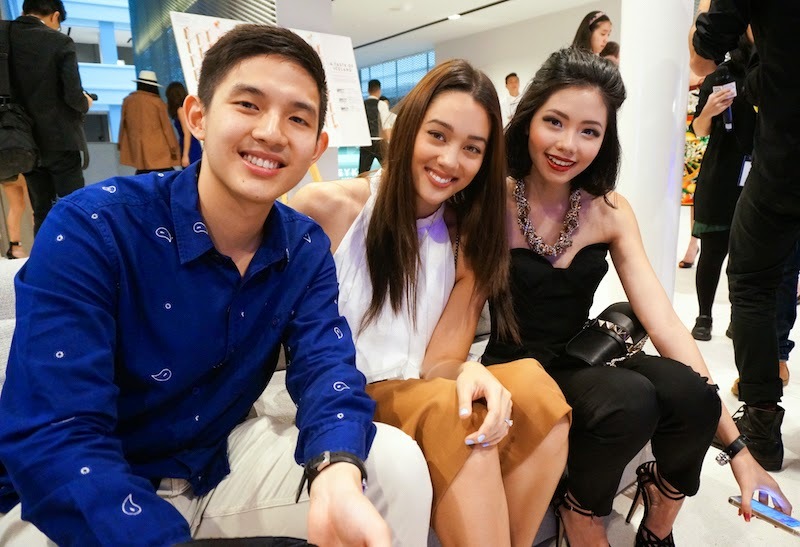 Besides Max Tan, You You and In Good Company showed strong also presented their SS15 collection. 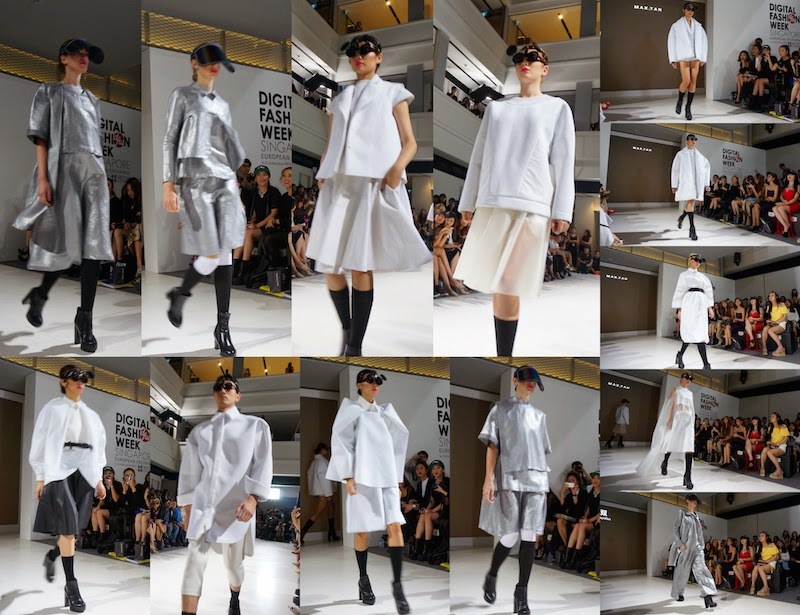 You You was all about casual sporty with a mix of trapeze structure silhouettes, sheer panels and fluted sleeves. I was in love with the designs in powder blue and silver. In Good Company was all about sporty luxe. Bias cutting and soft tailoring with designs mixing of fabrics and dipped hemlines . 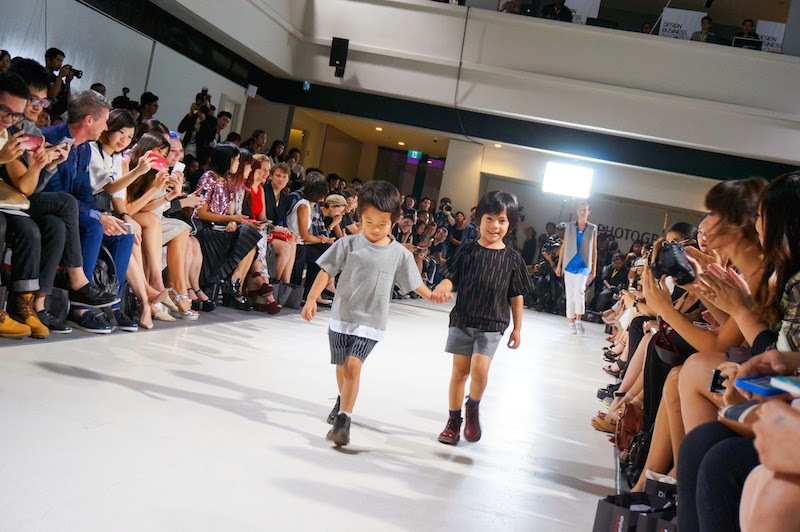 The show also surprised us with adorable kids walking down the runway with matching designs. Our party didn't end with the ending of Day 1 DFW, we went for second round Halloween party first at 1 Altitude but we queued for an hour but still didn't manage to get in the lift, and therefore we didn't bother to wait any longer and headed straight to Zouk, Singapore. Our night ended perfectly with the bubbles, alcohols and moves in the club. 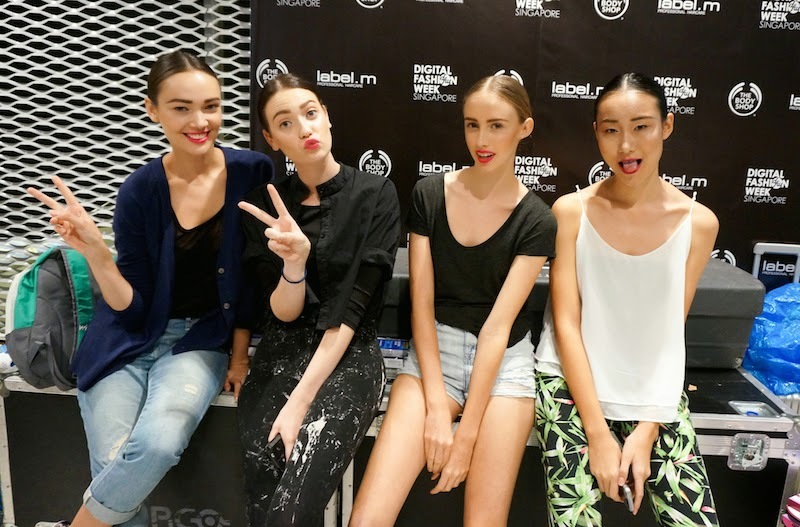 Till then, stay tune for more Digital Fashion Week posting.